The schedule for the SSC CGL 2018-19 exam is provided below. Please note down the important dates related to SSC CGL Exam 2018. Prepare for the SSC CGL 2018 exam by reviewing previous years’ question papers. Here, we are providing you SSC CGL Previous Year Papers with solutions which will help you to prepare for upcoming SSC CGL Exam. The online application for SSC CGL 2018 exam had started from 5th May 2018. 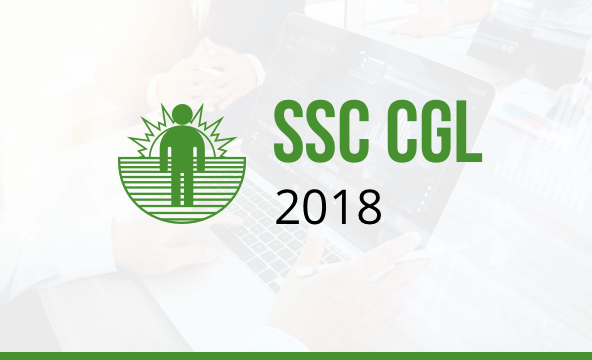 The last date to apply online for SSC CGL 2018 Exam was 4th June 2018. Written Exam for SSC CGL will be conducted in online mode. Only Tier-III, descriptive paper will be conducted offline - pen and paper mode. There will be negative marking of 0.5 for each wrong answer in Tier-I. In Tier-II, there is negative marking system of 0.25 for each wrong answer in paper II - English Language & Comprehensionand 0.50 for each wrong answer in Paper-I, Paper III and Paper IV of Tier II. Keeping in mind the SSC CGL 2019 exams, we are launching various Test Series, Classroom Programs and Seminars to guide you through your preparations.